Carved between the Peruvian Andes, in the wild country of Peru, Cusco is a sprawl of ancient ruins, architectural masterpieces and colourful fiestas that whisper of ancient Andean civilisations. Once the capital of the Inca Empire and now home to over 450,000 people, it is the Historical Capital of Peru. Attractions include Santo Domingo, Sacsayhuamán and Museo Inka. Get ready to stand on the threshold of Machu Picchu and experience the untamed, ancient rhythm of Peru with cheap flights to Cusco. Alejandro Velasco Astete International Airport (CUZ) is the hub airport of Cusco, located just 10 minutes from the heart of the city. 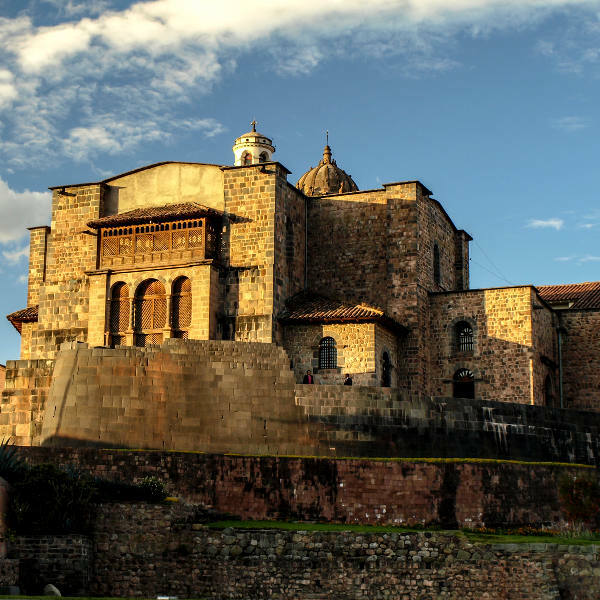 Cusco is a city that hums with the spirit of fabled Andean civilisations. Traces of its ancient past are preserved in ruins such as Sacsayhuamán and the architectural splendour of the Coricancha temple. Be enchanted by traditional sijlla and chunchos dances; witness Peruvian artistry in San Blas; be charmed by the enchanting thrum of the charango; and discover local folklore at Inti Raymi (Quechua for "sun festival"). 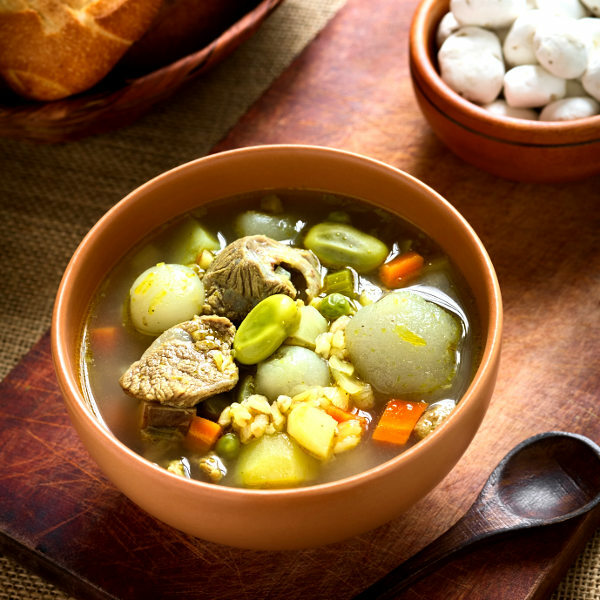 Bold flavours and ingredients have made Cusco a popular food destination. Notable dishes to try include adobo, chicharrones, sara lawa, pucheros, chiriuchus, and if you dare, roasted cuy (guinea pig). Cusco experiences a subtropical highland climate, with two distinct seasons: dry and rainy. Average temperatures range from 21 degrees Celsius in summer to 1 degree Celsius in winter. The best time to visit is during the dry season (mid-April to October). Although temperatures are much cooler during these months (temperatures can drop to below freezing at night), there is little rain and the landscape flourishes. High season is from June to August. The rainy season lasts from November to mid-April. Although the weather is usually mild, heavy outbursts of rainfall occur in the afternoons. There are less crowds during this time and major festivals such as Semana Santa and Carnival happen during these months. For cheap flights to Cusco, the best time to visit would be during May or between late September and early November. Cusco is the historic capital of Peru. Set against the backdrop of adobe villages that meander along the foothills of the wild Peruvian Andes and snake toward ancient ruins dating to the 15th century, Cusco bristles with history. And while the lure of archaeological masterpieces has made Cusco a popular travel destination and UNESCO World Heritage Site, there is more to this charming Peruvian city than the awe-inspiring Inca Trail and ancient splendour of Machu Picchu. Culture hides down stone alleyways and whirls through traditional markets brimming with Peruvian handicrafts, street performers, local artisans and the delectable scent of roasted cuy. 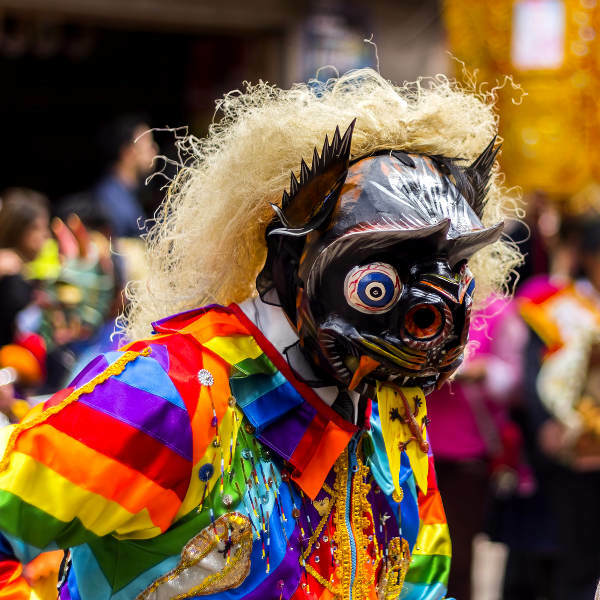 Trek through knotted jungles; learn how to whip up lomo saltado at a local cooking class; explore the remains of Coricancha, the most important temple of the Inca Empire; or revel in the colourful festivities of Cusco Carnival and Inti Raymi. Whatever you decide to do, you will realise there is no escaping the enchanting hum of Cusco and irresistible scent of Peruvian culture. Compare several airlines, and book your cheap flights to Cusco online at Travelstart! Although Cusco is a relatively safe city, crime does happen. It is advisable to take certain precautions and maintain vigilance as you would in any other unfamiliar city. Travel insurance to cover theft and medical expenses is recommended. Avoid travelling alone, especially at night. Only make use of licensed yellow taxis and agree on a fare before starting the journey. Pick-pocketing and bag snatching can be a problem in crowded areas, so you should avoid carrying large sums of cash and important documents. Certain areas along the Inca Trail can be dangerous. The trail should be done with a guided group. Exercise caution when making use of roads in Peru, as driving standards in Peru are poor. Be vigilant at bars and clubs. Never leave your drink unattended and don’t accept drinks from strangers. A yellow fever vaccination is required if you are travelling to areas outside of Cusco, Lima, and Machu Picchu. Immunisation against hepatitis A & B, typhoid, malaria, cholera and rabies is recommended. Other vaccinations include MMR, diphtheria-tetanus-pertussis, varicella and polio.